That is until she walks into a poetry class led by Mr. Haddings, a student teacher from the nearby University of Washington. Suddenly, life on the UW campus seems very appealing, and Sarah finds herself using her poetry journal to subtly declare her feelings for Haddings. Convinced Mr. Haddings is flirting back, she sets off for school in the rain with a poem in her back pocket—one that will declare her feelings once and for all. Sarah is a bright high school student with the whole future ahead of her. Her worries consist of which college she’ll go to…and her crush on twenty-one-year-old poetry teacher, Mr. Haddings. Everything changes in an instant when Sarah is hit by a car—and the driver turns out to be her long-time crush. This intense story follows Sarah and Mr. Haddings thoughts as they struggle to live with the consequences of the day she was hit. I struggle with a lot of mixed emotions pertaining to how I feel about Hit, so writing this review is really difficult for me. Especially since I don’t like writing negative things about someone’s hard work and I truly believe every book has something to offer. But I also have to be honest about my opinion…which is just that, my opinion. I’m going to try and make this easier for myself by simply sharing both what I liked and what I didn’t like. What I liked—my favorite part of this book was the poetry. I adore poetry and the poems included in this book were just beautiful. I liked how the book was separated into three parts—three days. It made it easy to follow along. Another positive was that Hit is undoubtedly one of the most unique stories I’ve read. An interesting fact is that it was inspired by a true story, making it all the more intriguing. The last thing I’d like to mention is that the writing style was incredibly easy and I read the book fairly fast thanks to the lovely storytelling…a big upside for me. Now onto the hard part—what I didn’t like. My main complaint would be that we barely get a background on the characters before the chaos ensues, making it almost impossible to become invested in the story. Certain characters were downright annoying and unbearably selfish, which considering the intense circumstances I guess could be understandable as well as realistic. However, as the reader, having a severe dislike for all of the characters is obviously a huge downside. Though the first part of the book held promise, it went downhill starting with day two. There was just so much unneeded drama and angst—making the book seem overall, for lack of a better word, shallow. And adding romance to the story? All it did was annoy me as it was incredibly inappropriate and not at all romantic. 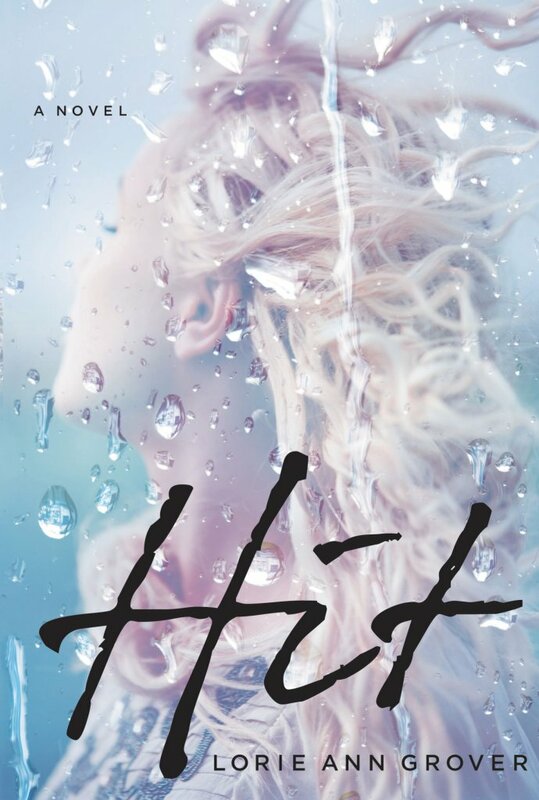 I gave Hit a 2 star rating, because while I didn’t enjoy it I thought it had admirable aspects that I truly did appreciate—like the lovely storytelling and intriguing plot. I have read a lot of positive reviews from fellow readers who enjoyed it, one of the main reasons I was so excited to check this book out. But alas, we can’t all like the same things all the time and unfortunately that was the case with Hit…all it left me with was disappointment. **I received this book from BookLook Bloggers in exchange for my honest review. All thoughts are completely my own. What is your latest YA read? Have any current reads you want to share? Thanks for stopping by Will Bake for Books! I am in the same boat as regards this book, Bekah. It was just “okay.” Like you, I feel awful writing negative reviews, but feel like sharing your honest opinion is always the best and you did an excellent job balancing this review! Nicely done. My main “issue” was the whole teacher-student thing. That’s a dangerous idea to write about – plus as you said, I didn’t like being immediately thrust into the chaos of the story. Hope this one finds its right audience. Yes…the student-teacher thing definitely bothered me as well. Well, I have read a lot of good reviews for this one on other sites so I think that it is finding it’s fans. I am also glad I was not the only one with conflicted emotions about reviewing this book. I too, loved the poetry, but had huge conflict with the whole teacher/student romance. It is hard to give a poor review for someone’s hard work, but sometimes an opinion is better, if carefully given.